Sessions has been a longtime ignoramus about cannabis law reform. 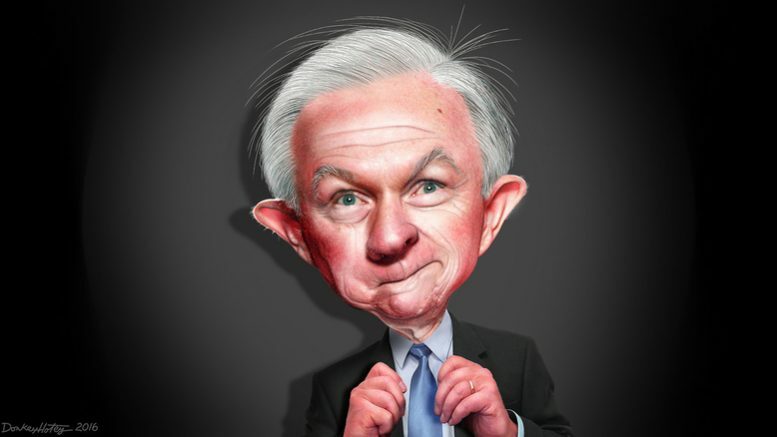 U.S. Attorney General Jeff Sessions last week announced the DOJ was rescinding five Obama-era memoranda affecting criminal prosecution of marijuana-related offenses under federal law. The memoranda had essentially allowed individual states to decide about the cultivation, processing and sale of cannabis-based products including those derived from industrial hemp. Because the definition of “marijuana” under the U.S. Controlled Substances Act does not distinguish between marijuana and industrial hemp, the memoranda all implied inclusion of — and effectively have given protection to — industrial hemp farming programs. In the wake of the Sessions announcements, HIA said industrial hemp “remains protected under exemptions to the Controlled Substances Act, per §7606 of the Agricultural Act of 2014 (the “Farm Bill”), which permits the cultivation of industrial hemp by institutions of higher education and under state agricultural pilot programs.” Such research programs are expanding state by state in the USA as stakeholders are rapidly developing the infrastructure for a thriving American hemp industry. Nonetheless, Colleen Keahey, HIA’s executive director said the federal rules changes, announced by Sessions Jan. 4, could hit hemp interests. “This rescission stands to impact important business relationships that exist between industrial hemp brands and hemp product manufacturers, and the legal retail marijuana market,” Keahey said. “Marijuana retailers reach a focused pro-Cannabis market where hemp clothing, food, paper, plastics and hemp-derived CBD product sales are known to perform well,” she continued.